Beating your competition at SEO is easy. All you need is one thing. Just one. Before I tell you what that is, you need to start with an understanding that search engine optimization boils down to building brand awareness. Gone are the days of keyword stuffing and other outdated tactics. 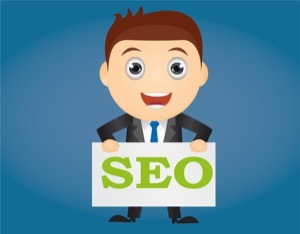 The new SEO is establishing credibility around your business and the services that you offer. But before we jump into talking about what does work with SEO, let’s talk about what doesn’t work. What doesn’t work with SEO​? Automated backlink building, keyword stuffing, meta keyword stuffing, Thanksgiving stuffing. Wait… just the first three. Automated backlink building was when SEO was the wild wild west. While you may average 10-20 backlinks per month these days, back in the ol’ days you could automate your way to 1000-2000 a month. Yes, automated link building software still exists, but the reward that comes with those efforts does not. Google’s Penguin algorithm took care of that. Keyword stuffing is something that people used to do because it worked. The goal was to shove as many keywords that you wanted to target as semi-unnoticeably as possible. This also included stuffing keyword variations into your content. However, Google’s Panda algorithm changed this tactic, too. Meta keywords have been dead since 2009 when Google acknowledged that they no longer do anything with them. Enough said. Patience is a virtue, or so they say. Patience is definitely needed if you want to be successful with search engine optimization. Depending on your website’s industry and level of competition, SEO strategies that used to take six months to a year can now easily take more than two years. Here are a few considerations to help you better understand if SEO is a reasonable pursuit. What is your product or service, and how competitive is its space? Are you in a super-competitive industry like weight loss, or do you offer a really niche, one-of-a-kind widget? Who is your target audience? Is it local, statewide, national or international? The broader the region is, the more competition there is. What are you working with? Does your website run on WordPress where you have access to all of the SEO features that you need? Or, does your website use an outdated backend that isn’t as search engine friendly? The three factors above influence how long your new SEO campaign can take to bring a return. What SEO tactics DO work now? To understand where SEO is now, you have to look at the basics. As a mall business owner, you need to understand the demographic that is buying your product or service so that you can best tailor your goods to be monetized by them. What is the age group of your target audience? What is their financial status? Do they like the outdoors? Are they in their 20’s, 30’s, 40’s, 50’s, etc. 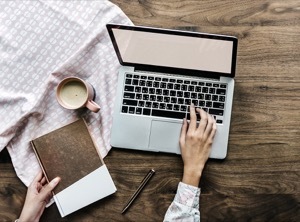 From there, you can build out all of the content and technical components needed on your website and tailor them to that audience for long-term engagement. Now that you know who your ideal buyer is, your content needs to be geared toward them. If your target audience is millennials, then you’ll approach your marketing strategy one way. If your target audience is an older generation, however, the verbiage is going to be markedly different. It boils down to a call-to-action that is appropriate for your target market and how to influence your audience to take a desired action. Google assesses what a page is about based on its content and images. As you write your content, sure, keywords still need to be here and there to add emphasis for search engines, but these should be incorporated with common sense so that they flow naturally. There is no need to over-emphasize what is being offered. Once a consumer hits the page, the buyer persona becomes important. The website should persuade your visitor to take action by clicking on a button and adding something to the shopping cart or contacting you. There are a lot of good, free analytics tools that are designed especially for small businesses. This helps level the playing field because you no longer have to invest a lot in technology to compete with the big boys. There are two areas of SEO that you need to analyze. On-page optimization affects the elements directly on your website; your content, page speed, images, structure, etc. Off-page optimization is mostly associated with backlinks, how many times a website is referenced and talked about by other websites, etc. These references could include news coverage or other buzz surrounding the brand. To start tackling your on-page optimization, Google Search Console is a great resource to start with, and it is free. It detects broken links on the site and finds potential problems with content and efficient page loading. If you want a paid resource, I personally use AdvancedWebRanking.com (free trial) and the Link-Assistant suite at Link-Assistant.com (download a free trial). The list of issues identified within these applications helps you with on-page optimization by giving you critical information about your site’s structure. You and your customers don’t like visiting a website that loads slow, so neither does Google. Fast page speed is especially important for mobile visitors, considering that they may be hitting your site from a phone network instead of high-speed wireless internet at their home. When a visitor hits your site and sticks around for a while, this is a positive signal to search engines that your site is relevant to what they searched for. When a visitor leaves too quickly (“bounces”) then this is a signal to search engines that perhaps your site isn’t well suited to be associated with the keyword that drove the click. Use free tools like GTmetrix.com and Google’s PageSpeed insights to identify website issues and improve your website’s load time. These sites help you detect if your website has a bloated page, tells if the images are oversized, or if other problems are bogging down your page speed. The more incoming links you have from outside websites (“backlinks”), the more “votes” you have in the theoretical search engine popularity contest. A great, free website tool to check your backlink portfolio OpenLinkProfiler.org. Open Link Profiler will give you a peek into what websites your competitors are getting links from. This gives you the ability to identify opportunities to place your link, too. If you end up exploring the Link-Assistant suite I mentioned earlier, their LinkAssistant program can help you find link building opportunities as well. With a greater focus on quality, high-value links, website relevancy is also important. As you jump into looking for link building opportunities, keep in mind that it’s more valuable to get 10 links from industry-relevant websites than it is to get 1,000 links from unrelated, low-quality websites. If you’ve done link building in the past and you know you have some low-quality links, clean them up before you start muddying the waters and adding more. Open Link Profiler is not only great at showing you link building opportunities from your competitors but also works for auditing your backlink portfolio. It even suggests whether it believes the links are good or bad so you can decide if you want to disassociate yourself from the bad ones with a disavow submission. Likewise, Link-Assistant’s SEOSpyglass can help. Since Google can only rank a website for what it can read on a website, content matters. Big time. You’ve heard it a million times before. “Create content.” “Write a blog.” But writing new content, especially consistently, is hard. Sometimes you don’t have the time to sit down and write an original blog. Or if you do have time you don’t know what to write about. What I recommend to business owners is to invest the time towards creating a yearly content calendar. When I launch a new SEO campaign for a client, we spend the first few weeks researching their company’s history, their industry, what types of questions their audience wants answered, and we assess the services that a client offers and find different ways that they can connect their content to their readers. We come up with a 52-week content calendar so we know a year in advance what we’re going to blog about on a weekly basis. That solves the problem of “what” to write about. Then we sit down and knock out a whole month’s worth of blogs in one sitting instead of having to try and put on the writer’s cap every Friday. That solves the problem of having to get into the writing groove only once a month instead of every week. Not sure where to start with brainstorming content ideas? Below is a guide that took me months to create. It is a list of recurring events, topics, and links to read more about them. This guide likely won’t give you immediate topics to start writing about but it will get the ideas spinning in your mind of where to start. Now that you have a content calendar to crank out blogs, consider creating other types of content like infographics and videos. Since you’ve already spent time researching great topics for your content calendar, there is no need to reinvent the wheel. Repurpose your blog into an infographic, then convert that infographic into a video, and so on. Maybe you have other content assets? For example, you could take your podcast and have it transcribed and converted to an article. Repurposing is a great timesaver. What is the value in repurposing content into infographics and videos? Just the image or video itself does not carry a lot of SEO value. However, the value comes when your content is distributed, shared, or goes viral. When an infographic or video gets posted on a blog, it has the opportunity to be shared and re-posted. People may link to your website’s content. Others may share the infographic on their site and mention you as the author. As the content circulates, you build brand awareness and increase your credibility. Now that you understand the value of content, your brain may be thinking of ways to mass product it. Before you get too crazy of an idea, keep in mind that search engines are smart enough nowadays to know if an article has been spun. Article spinning means changing a few paragraphs around and swapping out a few words for synonyms. Spinning does not lend any value. You’ll be wasting your time. However, if you read an article and completely rewrite it from the ground up with different words, that’s up for debate. I’m not suggesting you do it. Just commenting that it is a tactic used by many. If there are no patterns, no footprints, and no exact matches, then, yes, repurposing other people’s content may drive you positive search engine results. Maybe you want to repurpose other people’s content for a different reason outside of search engine benefit. Maybe you have a site with content contributors that run their own blogs and you want to share a piece they wrote to amplify their content. In that case, you don’t want to repurpose the content because you do not want to take advantage of it. Likewise, you don’t want to copy and paste it because you don’t want to get penalized by Google for duplicate content. What do you do then? Give the original author byline credit. Mention above or below the article that it was originally published on their blog and link to the original version. Use canonical tags. Canonical tags basically tell search engines, “We know that this content was originally published on another website; ignore us and assign the value to the original author.” A canonical tag is not something that your readers see. It is just a little snippet of code that sits at the back end for search engines to reference. This allows readers to read and search engines not to hate you. A good example is in this article that you’re reading now. I felt that the information in this article would be valuable to my audience at DamonBurton.com but it originally appeared here on SEOnational.com. It is a word-for-word copy. Clearly a duplicate. To cover me, if you view the HTML you will see that I put a canonical tag on the DamonBurton.com version assigning credit back to the SEOnational.com version. When Do You Need Help with SEO? The most important thing about SEO is to have realistic expectations. SEO is a long-haul venture. You are not going to get rewarded overnight. If you put in two months of work and then give up, you’ve wasted two months. On average, you need to give SEO at least a year of efforts to start yielding results. Take it day by day and commit in all the areas that you can. Define your target keywords, check out your competition, make your content calendar, and set a strategy. It doesn’t make sense to rank number one for something that no one searches just to say that you rank number one for something. You need to find that balance between long tail (more specific, less competitive keywords) versus short tail keywords (broader words, higher competition), quick wins versus long-term pay-offs, and the decision should be based on what you can monetize. The approach that I take when choosing to target long tail versus short tail is a hybrid. I want my clients to get a return on their investments, so we strategize which words have a decent search volume. Then, we find words that have less competition within that volume. The client can start monetizing these words quicker. We then develop a longer-term strategy for our short tail keywords. Due to short tail keywords having more competition, they may take a while to yield results, but they can become a huge pot of gold in time. Essentially, long tail keywords can pay your SEO bills as you go and short tail keywords can deliver the big payments down the line. SEO used to be an optional marketing tactic that would give you an upper-hand, but now it is becoming a necessity to survive online. Everyone is dependent on search engines. Everyone is always on their phone searching for answers or for products or services that they need. As far as whether you outsource SEO versus pursue doing your own, you have to decide if you have more time or money. SEO is a long play, and you can’t cut corners. You either need to commit a lot of time to it, or you have to pay for somebody else’s time. While what I’ve covered so far applies to any website, no matter what backend you use; I’ll admit it, I love WordPress. And so do millions of other people. In fact, WordPress powers nearly a third of all websites in the world. And with WordPress’s flexibility with plugins, it’s no wonder why so many people love it. There are many free tools and plugins that will analyze and improve your website’s page speed, usability, and overall SEO. The granddaddy among these plugins is Yoast. Yoast helps you analyze your website’s content and structure. The catch with Yoast is that a lot of people install it and leave it as is. When that happens, they’re missing out on half of the value of that plugin. You have to get in there, familiarize yourself with the variables, and work the configuration pages to fully maximize the value within Yoast. There are two other staples that we use at my SEO company, SEO National. One is Smush image compression. Smush will compress an image for faster load while retaining its visual quality. This is important because small images will load faster. What a lot of people don’t know is that there is hidden data on images, like the location where the picture was taken, the date, various pixel information, how to render the colors of the image, and more. There are mathematical ways to minimize that equation and wash off the data while retaining retain an image’s visual qualities. This is what Smush does, ultimately making it quicker for your images to load. And faster images = faster website. The next plugin is W3 Total Cache. Along the lines of image compression, its goal is to increase page speed. It accomplishes this from a totally different approach. It’s not specific to images. Rather, it takes a snapshot of your pages (cache), so it knows what it’s going to load when the next visitor comes along and how to load it quicker. Original content is good, and if it is high quality, it can be repurposed in other ways. Develop a content calendar, and write blog articles in bulk. SEO is a necessity, but it takes a lot of work and effort. Start with a few long tail keywords that can be monetized immediately, while also working on short tail keywords for the long haul. As a small business owner, you can tackle your own SEO or leave it to the experts. Regardless, the big secret is remembering to hang in there for the long term. I enjoy mentioning products that are helpful for readers. Sometimes, some of the links in my content are affiliate links, meaning, at no additional cost to you, I will earn a commission from that company if you click through and make a purchase on the products. They link rewarding referrals. I’d recommend the product anyway, so the commission is just a bonus. Thank you in advance.